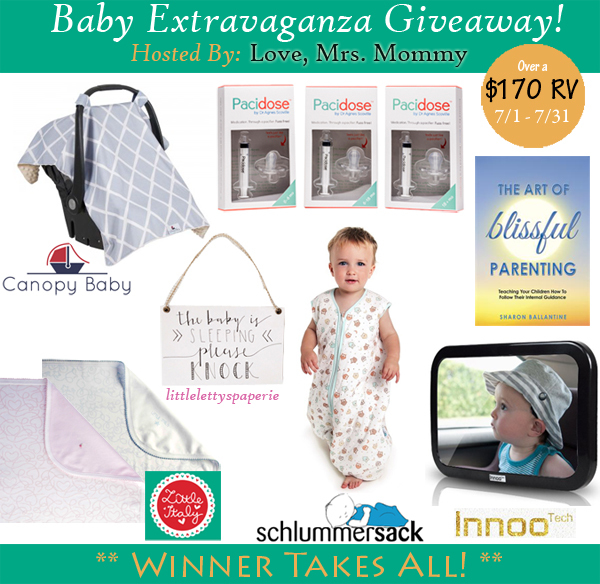 This is a Blogger Opp for the incoming Baby Extravaganza Giveaway, hosted by Love, Mrs Mommy. There will be 1 lucky person who is going to win these baby goodies worth over $170!! As an amazing bonus... 4 out of the 7 products are Winner's Choice! Winner can pick color, size and/or style.